There’s lots to love about Burnsville, according to third-grade students, especially the playgrounds, schools, library and people. A total of 175 students in Burnsville-Eagan-Savage School District 191 shared their love for their home town in an essay contest. 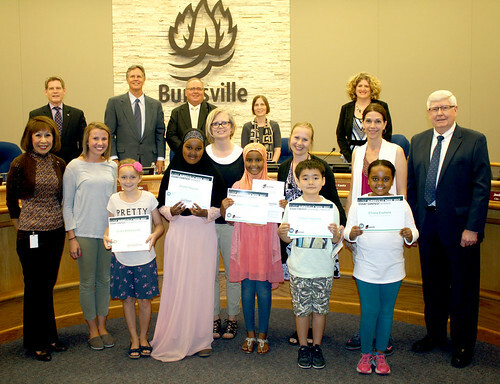 The Burnsville City Council, along with Marty Kelly from contest sponsor Firefly Credit Union, reviewed entries and selected the winners. The three winning students read their essays out loud at the Burnsville City Council meeting on June 6. View their essays at www.burnsville.org/essay. Essay winners were awarded $50 from Firefly Credit Union and their school received an additional $50 donation to be used in the child’s name for a useful purpose. Honorable mentions each received $25.